How Do I Transfer My PMI and URL From a Basic Account? Problem: Receiving Error code : 2008 when attempting to start a Webinar. Root Cause: Error 2008 occurs when a Webinar license is not applied to the user; or the applied license is no longer valid on the account. 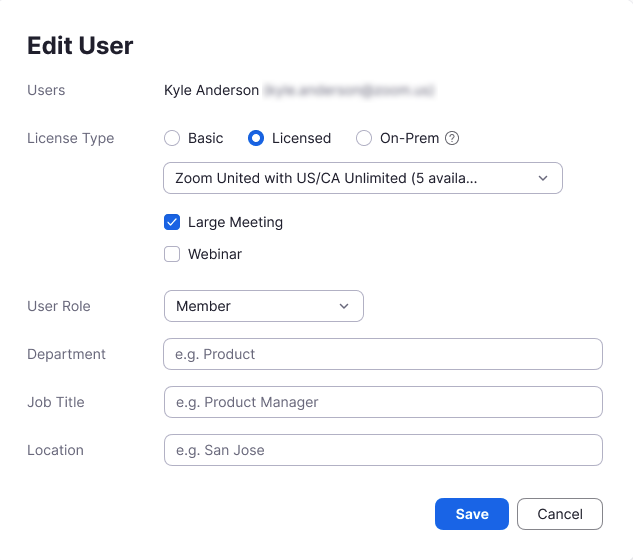 Solution: Visit User Management as an admin or owner of the Zoom account and use the "edit" buttons for that user to reapply the proper webinar license.